A 9 year-old boy from Nepal, who has a dream to become a doctor. Chhiring’s smile is his greatest gift to the world, immediately captivating the hearts of everyone he meets. Growing up in a Buddist family in the Himalayan region of Nepal, Chhiring never had the opportunity to hear about Jesus. When Chhiring’s mother passed away in a tragic accident, his father remarried quickly. Chhiring’s new stepmother often mistreated him and his home life soon became very difficult. Eventually, he left home and went to live with his aunt. Although their relationship was much healthier, Chhring’s aunt did not have the means to provide for him adequately and began searching for a stable, loving environment where her nephew would thrive. 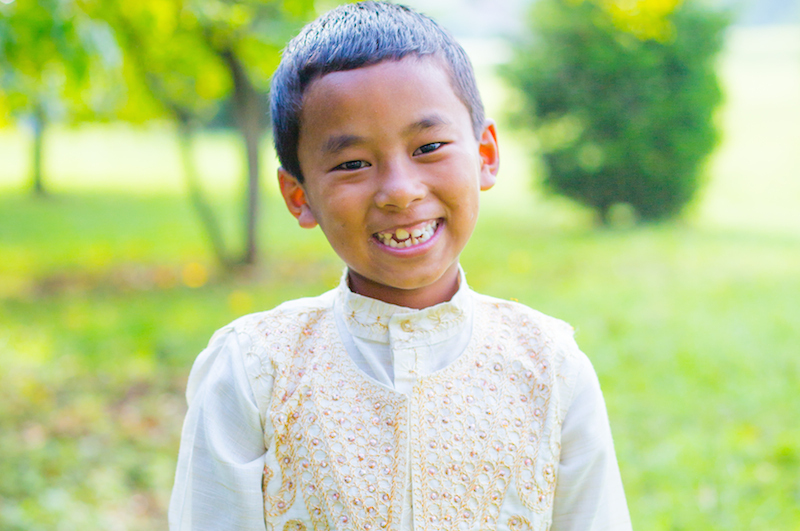 Today, Chhiring is experiencing a full, happy childhood as a part of our sponsorship program. After being introduced to Jesus, Chhring’s smile continues to grow wider, knowing that he is known, valued, and loved by the greatest Father of all. Chhiring is a part of Children of the World this year and is just one example of how sponsorship is transforming the lives of children with help for today and hope for tomorrow. Sponsorship changes a child’s story forever and we invite you to join more than 12,000 people, just like you, and sponsor a child today!